When former Attorney General Jeff Sessions was forced to resign on Wednesday, Matthew Whitaker took his place. In a tweet, President Trump said that "a permanent replacement" for a new Attorney General to replace Seesions "will be nominated at a later date." The list of possible contenders is expected to expand in coming days. At this point, CBS News' Major Garrett reports that the following are all under consideration to be the next attorney general. The former Governor of New Jersey and Republican presidential hopeful was a high-profile U.S. attorney under President George W. Bush. Notably, he led the successful prosecution of Charles Kushner, the father of Jared Kushner, Mr. Trump's son-in-law and senior adviser. After dropping out of the Republican primary, Christie endorsed Mr. Trump and was in the running to be his running mate. He was also considered for Cabinet positions, among them DHS secretary. He also led Mr. Trump's transition team for a time, although he was marginalized by other Trump aides and had only limited influence. Christie has since rebuilt his relationship with Mr. Trump and other senior officials. The former New York City mayor, who ran for the GOP presidential nomination in 2008, has known Mr. Trump for decades and currently serves as his personal lawyer. Prior to becoming mayor in 1993, Giuliani was the U.S. Attorney for the Southern District of New York, where he led numerous prosecutions of mafia figures. 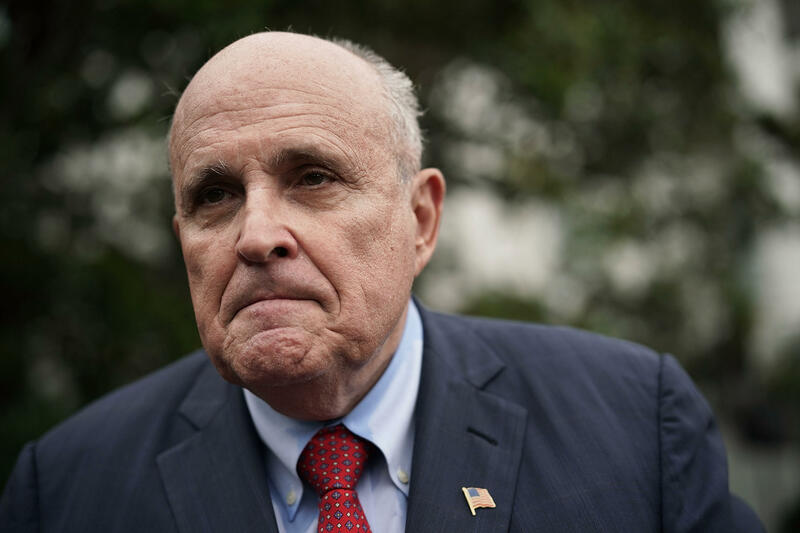 Aside for his work for Mr. Trump, for whom he was a high-profile surrogate during the 2012 election, Giuliani is best known for leading New York City during and after the 9/11 attacks. Giuliani was also considered for DHS secretary. Bondi has been Florida's attorney general since 2011, and is a close ally of Mr. Trump who frequently appeared on television to support his campaign in 2016. Endorsing him ahead of the Florida primary, Bondi said she had known Mr. Trump "for many years." Mr. Trump gave Bondi a $25,000 campaign contribution in 2013, which eventually resulted in a bribery complaint against Bondi. However, she was eventually cleared of wrongdoing by State Attorney Stephen Russell's office. Bondi is term-limited and can't run for Florida attorney general again. Unlike Mr. Trump's other possible picks, Barr has already been attorney general, taking the post in 1991 under President George W. Bush. Before that, he was deputy attorney general and a domestic policy adviser to President Ronald Reagan. Since leaving the government, Barr has worked in the private sector. In a 2017 statement to The New York Times, he defended Mr. Trump's call for an investigation into former Democratic candidate Hillary Clinton.